Not if I find one first! I shipped a Black Widow to Vundi today, hope he gets it soon. Looking forward to my Storm Trooper! Haha!! Thanks man! Just had the right connections this time around. Tell you what, if I see another Black Widow on the shelves sometime, I'll pick it up for you and send you a quick PM. If you've already found one too, I'll just return it. Deal? i'll send you one for free snake if I find it before vundi. Wow, thanks guys! Are you looking for anyone in particular? 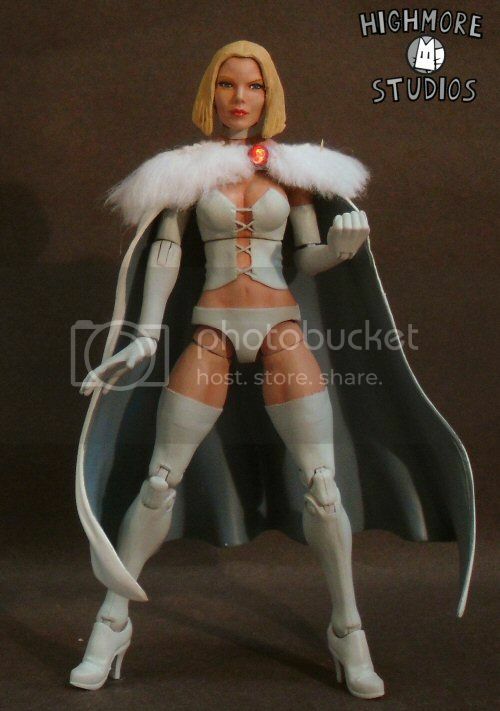 Sure... White Queen from the Wolverine Marvel Legends series But if you find one you'd be one lucky guy. I need it mostly for the BAF part honestly, but she'd be nice to have as well. Apart from that... I'm pretty happy with what I have for the time being. I just hope they have a bunch more ML figures planned because it the recent Spidey, Cap and Guardians of the Galaxy waves have all been really GREAT, I want to see them build on this success and give us a ton more great stuff. Well I hope you like what you came out with. I just ordered all of the goblin BAF set minus Spidergirl and Boomerang. Can't be mad about that. Great job. Nova back in stock for pre-order! Last edited by Zulithe; 04-15-2014 at 02:38 AM. ^ great! what is that thing? I do not know, I've been trying to figure it out myself. Could be a vehicle, weapon or a weapon holder, someone said it was to "hold all his guns" not sure if that's accurate. Just watch, He'll become the new widow. Also... Rocket is out of stock on amazon too. Will they restock before release? Who knows. Better to be early than to be sorry. To anyone who didn't pre-order when they had the chance... good luck. interesting... well i can't explain that, but sounds like an error. With some items though, you almost KNOW they will be getting some. With these GotG figures, I'm sure they will. I have had some small problems with amazon in the past, but I've never had a problem with pre-order items. Smells like peg warming before they even hit the heads.